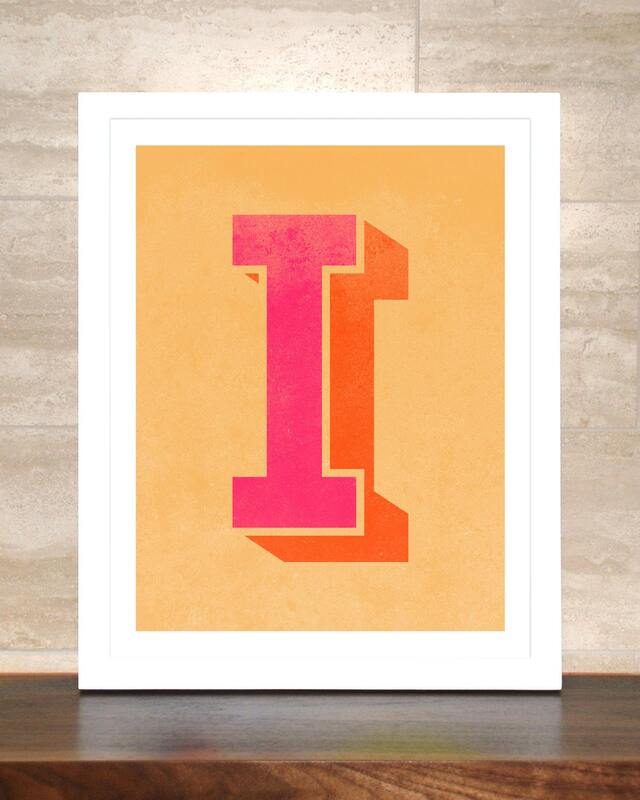 I is for...Isabella, Ian, Ida, Isaac, Iris, Irina... 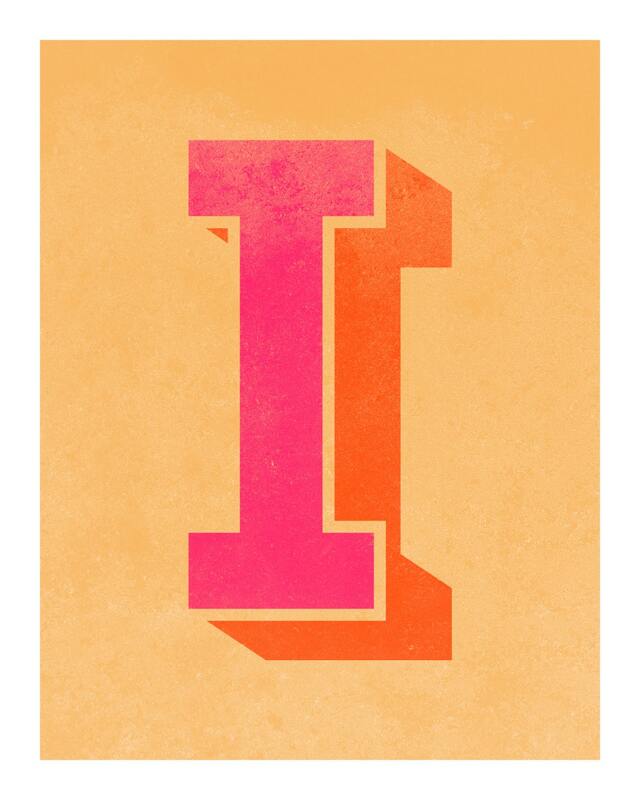 The Letter I is printed in pink with an orange drop shadow on a gold background. Light digital "distressing" has been added to give the print a worn, retro look. Very quick arrival. New to etsy so I was pleasantly surprised.